The Immigration Reform and Control Act authorizes federal law enforcement to audit your business. While you may think the audit is random, in most cases it appears that a former employee or a competitor have tipped the government to pursue a targeted fraud investigation against you and your business. Because a mishandled audit regularly leads to fines and can even trigger civil or criminal prosecution, business owners are well-advised to not experiment themselves but to have attorneys experienced in federal matters deal with the U.S. Department of Homeland Security and ICE to end the audit before it even begins. Oberheiden, P.C. has successfully defended hundreds of business owners in federal audits and federal investigation by avoiding civil or criminal fines and criminal liability. Our profound federal experience comes from leading positions previously occupied at the U.S. Department of Justice as well as our rigid practice focus on federal law. Unlike most lawyers, Oberheiden, P.C. attorneys routinely and every day work with the FBI, the Department of Justice, the Department of Homeland Security, the IRS Criminal Division, the U.S. Attorney’s Office and other federal agencies. Nothing replaces that experience when it comes to giving clients effective and reliable advice in times of federal crisis situations. Most business owners start off wrong. They feel personally attacked and offended by the fact that, in all likelihood, a former employee turned them in and wants to hurt what they have built over years. While such sentiments may exist, an effective audit response puts that agony aside and focuses on the actual subject matter: that is, that the government is investigating your business and you need to defend yourself. Experienced lawyers will apply proven protocols to take control over the situation and to provide fast and efficient help. Who is in charge of hiring? What documents does the company have on file to prove the correct immigration status of its employees? Are their HR files? What is the hiring process, historically and presently? Who verifies the I-9? Does the company use E-Verify? If not, why not? What policies are in place to demonstrate your intent to comply with the law? Getting to the bottom of these questions allows counsel to identify potential shortcomings and misconduct—a prerequisite for fixing old procedures and representing to the government that future mistakes are not going to happen. The Immigration Reform and Control Act requires U.S. employers to verify the immigration status of its employees. 8 C.F.R. Section 274a.2 proposes the Employment Eligibility Verification Form I-9 as the appropriate certificate to document compliance. All U.S. employers are required to keep, and present upon request, the original I-9 forms for all of their current employees. For former employees, employer must be able to show the original I-9 forms for at least three years from the date of hire or for one year after the employee’s departure from company, whichever is longer. Notice of Inspection Results. If your business was in full compliance, you will receive a Compliance Letter. Notice of Suspect Documents. If ICE investigators identify unlawful workers, you will receive a letter outlining the civil and criminal consequences of continued employment for those workers. Notice of Discrepancies. In some cases, ICE is unable to locate or look up an employee and will request personalized documentation to confirm the employee’s employment eligibility. Warning Notice. Substantive violations trigger a warning notice. Importantly, warning notices will not result in monetary fines but lead to an expectation of future compliance. Notice of Intent to Fine (NIF). Substantive, uncorrected or repeated non-compliance and knowing hire of unlawful workers will lead to fines. Here, the employer and counsel will have a due process opportunity to negotiate a settlement with ICE or to request a hearing before the Office of the Chief Administrative Hearing Officer (OCAHO) within thirty days of receipt of the NIF. In case of a hearing request, an Administrative Law Judge (ALJ) will send all parties paperwork about the process and respective deadlines to submit their motions. Substantive, repeated, or knowing violations can trigger civil or criminal prosecution, see INA Section 274A(a)(1)(a) or (a)(2) and 8 U.S.C. Section 1324a(a)(1)(a) or (a)(2). Here are some enforcement examples. In DLS Precision Fab LLC v. United States Immigration & Customs Enforcement, the Ninth Circuit upheld the decision of an administrative law judge with respect to civil penalties assessed against an employer in the amount of $305,050 for 503 violations of the law. DLS was a sheet metal manufacturer in Arizona that grew quickly due to a Department of Defense program. 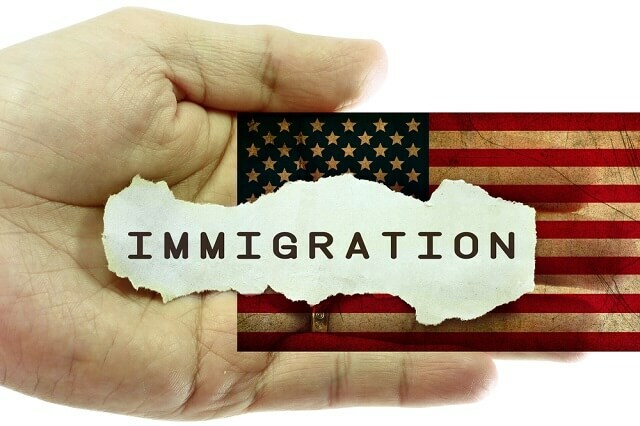 Therefore, they hired a highly qualified and credentialed HR director to be in charge of hiring new workers and comply with the paperwork (I-9) requirements of Immigrations and Customs Enforcement. Unbeknownst to the owners of the company, the HR director completely “shirked his responsibility to ensure the company’s compliance with the INA to the point . . . of literally stuffing the government’s correspondence in a drawer and never responding.” at 1083. Eventually, the government charged the company with failing to comply with paperwork requirements and for continuing to employ 15 individuals despite knowing that they were not authorized to work in the U.S. On appeal, the Ninth Circuit agreed with the agency that the hiring of the HR director did not constitute a “good faith” attempt to comply with the paperwork requirements of the law. The court explained that because the HR director was an employee, and the company and its owners had a duty to supervise their employees, the HR director’s failures were properly imputed to the company. Id. at 1085. Further, the Ninth Circuit found that the company’s ability to pay the fine was not a factor which the agency was required to consider in assessing penalties for the violations, but rather was within the discretion of the agency to consider or ignore. Id. at 1088. Note that in this case, the entire sanction was levied against the company, and not against the HR director who had actually caused the violations. In a case that shows how strictly the laws regarding I-9 forms are enforced, in Jenkins v. INS, 108 F.3d 195 (9th Cir. 1997), two agents followed Jenkins home from picking up two-day laborers. Jenkins claimed that he had not yet hired the workers, but the administrative law judge credited the testimony of the agents that the two men in question had begun to clear brush on the property. Because Jenkins did not question the men about their immigration status or complete the required paperwork prior to the commencement of employment, the Ninth Circuit affirmed the penalty of $250.00 that the ALJ had imposed on Jenkins for failing to comply with the statute. In cases involving more than ten employees or repeat violations, criminal sanctions have been imposed – though, as noted, less frequently than the civil violations described above. In most cases, a plea agreement is reached. For example, in September 2018, a Chinese restaurant and its owners pled guilty to harboring illegal immigrants for housing and employing approximately 15 such workers at its business. One of the owners had previously paid a fine for similar behavior in 2007. While the individual defendants have not yet been sentenced, the corporation agreed to pay a $200,000 fine, forfeit certain assets, and to be sentenced to two years of probation and to enter into an immigration compliance program. Note that in this case, the restaurant owners not only employed the workers, but had a history of such behavior and apparently provided the employees with housing and transportation to and from work. Heavy fines and the possibility for prosecution, in particular under the current Administration, should caution business owners to handle complex federal audits internally. Because the outcome of the audit largely depends on this first stage of the audit and how forms are being produced and what arguments experienced lawyers can present in their meetings with federal agents and investigators, doing things right early can save businesses a lot of fines and legal fees they otherwise have to spend in case of a referral to the U.S. Attorney’s Office. Dr. Nick Oberheiden and his team of federal lawyers have substantial experience with federal audits, inspections, and investigations. As much as we have avoided criminal charges in hundreds of federal investigations, we would love to make sure that you will never have to go through a federal case. Contact us today and speak to Nick or other senior lawyers to discuss your situation. We are also available on weekends and we serve clients across the United States. Federal cases only. Speak to Real Federal Lawyers Today! Call Oberheiden, P.C.